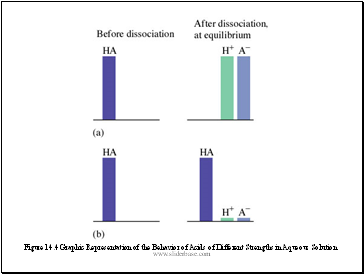 Arrhenius Concept: Acids produce H+ in solution, bases produce OH ion. 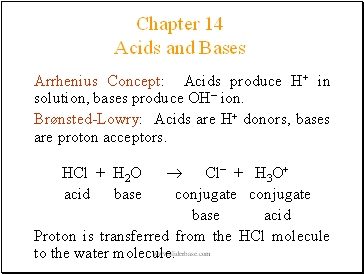 Brønsted-Lowry: Acids are H+ donors, bases are proton acceptors. 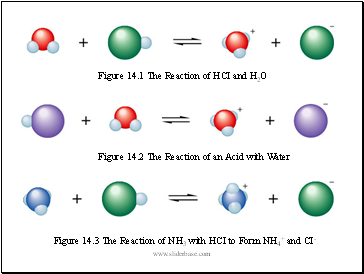 Proton is transferred from the HCl molecule to the water molecule. 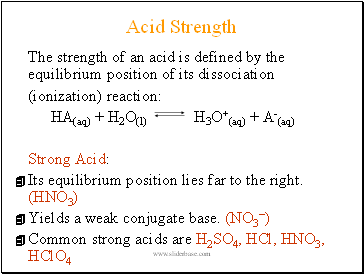 Conjugate base: everything that remains of the acid molecule after a proton is lost. 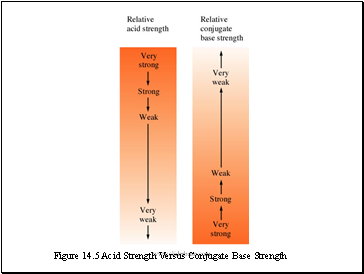 Conjugate acid: formed when the proton is transferred to the base. 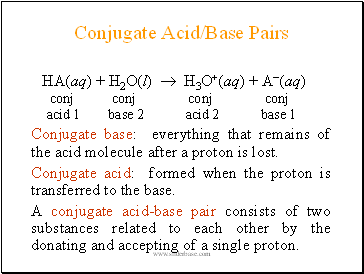 A conjugate acid-base pair consists of two substances related to each other by the donating and accepting of a single proton. 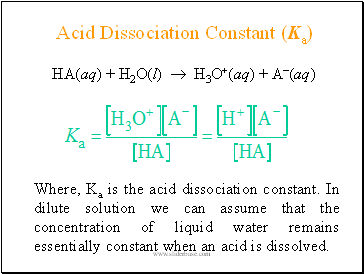 Where, Ka is the acid dissociation constant. 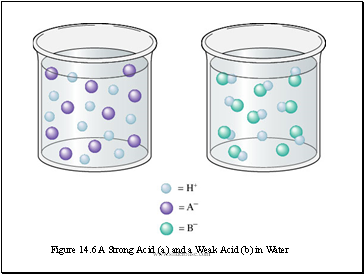 In dilute solution we can assume that the concentration of liquid water remains essentially constant when an acid is dissolved. 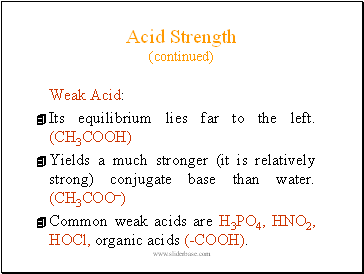 Common weak acids are H3PO4, HNO2, HOCl, organic acids (-COOH).